Search-guru.com – How to remove? Search-guru.com is a website that pretends to be a legitimate search engine. Even though it looks trustworthy, the truth is that it has been developed to provide users with the commercial content and thus boost the traffic of various websites. Therefore, you should not expect much from it. In fact, it would be best that you remove Search-guru.com from all your browsers as soon as possible because this search tool might cause many problems instead of improving your web searching experience and providing relevant search results. 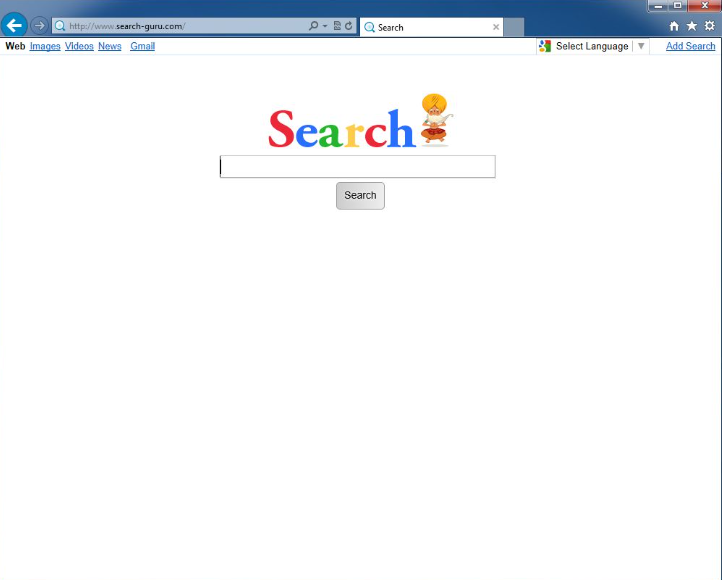 Since Search-guru.com is a typical browser hijacker, it has probably changed the settings of all the browsers installed on the computer, including Internet Explorer, Google Chrome, and Mozilla Firefox. The Search-guru.com removal should not be very complicated because this browser hijacker can be deleted from all the browsers by resetting them. More detailed information regarding the Search-guru.com removal can be found in the last paragraph of this article, but, of course, you should find out more about it before erasing it from the computer. Search-guru.com might look and act as a search engine, but this still does not change the fact that this search engine has been created to generate revenue for the developer. It does that by displaying advertisements for users. When they click on any of these promotional links, they end up on a third-party website and thus contribute to boosting its traffic rate. These ads are not innocent. First of all, they will not allow you to find the relevant information based on the search query quickly. On top of that, they might redirect to really bad websites promoting malicious applications. These threats might enter the computer quickly if a user browsers such a corrupted website. You need to know that these websites and Search-guru.com itself might collect information about you too. These details might be then sent to third parties, which might be cyber criminals and even disreputable companies. In other words, Search-guru.com might cause problems associated with the privacy as well. Why do I see Search-guru.com set on browsers? If you are sure you have not changed the settings of your browsers willingly, it is very likely that you have recently installed a software bundle with a browser hijacker inside. It has changed the settings of your all browsers. It is possible to prevent this from happening in the future: you should opt for the Advanced installation and then deselect all the programs you do not want to install on your computer. How can I uninstall Search-guru.com? It is not very hard to remove Search-guru.com from browsers because this questionable search tool should disappear from them after the browsers’ reset. You need to reset all browsers if you no longer want to see Search-guru.com. There is, of course, a quicker way to delete Search-guru.com from browsers. You just need to scan the computer with an automatic scanner you can download from the web. It will delete Search-guru.com together with other infections that might be hiding on your system.